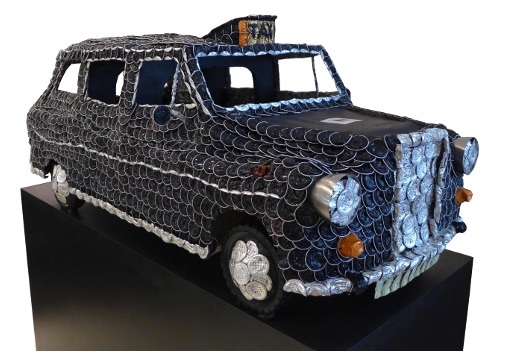 Michelle created this sculpture of a black cab from upcycled aluminium coffee capsules. Used coffee capsules were cleaned, crushed and stitched together onto a framework made from found objects and plywood cutouts. 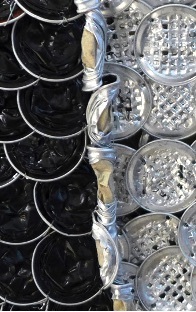 The sculpture was created in Nespresso's Regent Street store for International Recycling Day. The aim of the project was to educate customers about the ways in which the coffee capsules can be recycled. A short film was made of the process, using time lapse footage filmed in store.